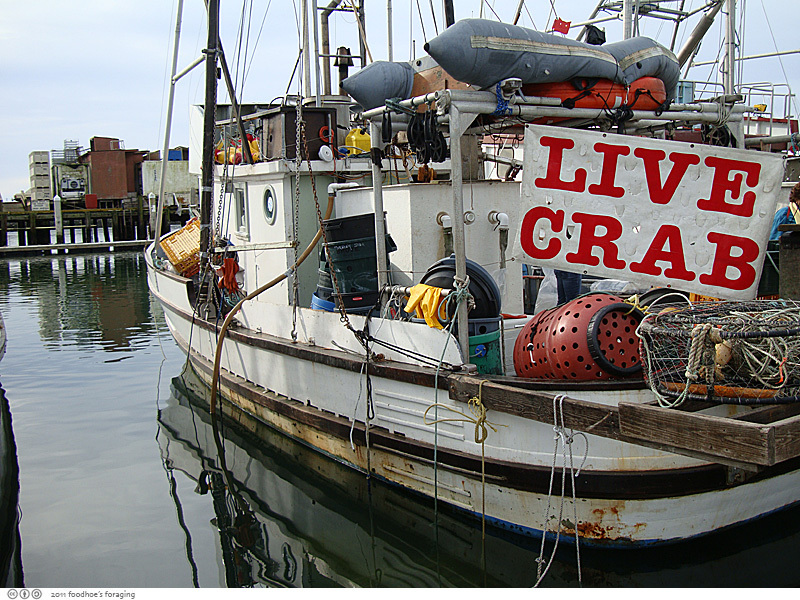 Over the holidays, Mr. K and I drove out to Half Moon Bay a couple of times to pickup dungeness crabs from one of the boats in the marina. This year the crabs are big and feisty and there were numerous boats selling then straight out of the crates they were hauled up in. 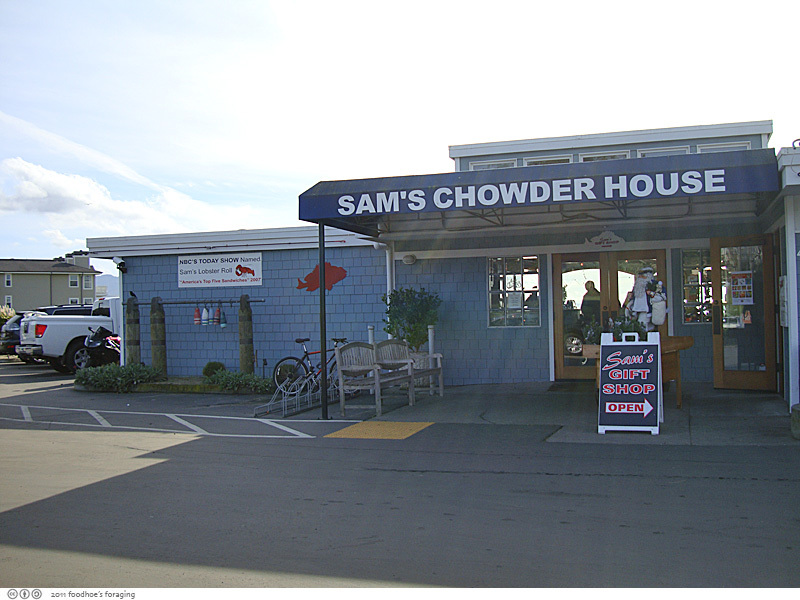 Both times, we stopped at Sam’s Chowderhouse for the famous Lobster Roll and of course, chowder. It’s conveniently down the road, has expansive views of the bay with a lovely outside patio. You can easily get a table if you are early, otherwise, get in line… The first time we elected to sit out in the back since there was a bit of sunshine, although the winds were blowing quite vigorously. Despite the chilly weather, we really enjoyed the view. Sam’s opened in 2006 and is quite popular, especially after its lobster roll was named as being in the top five best sandwiches in America on NBC’s The Today Show in 2007. You really can’t go wrong ordering the chowder, I loved the New England style Chowder ($6.95/cup). It’s rich with Little neck clams, Yukon gold potatoes, and flavored with bits of smoked bacon, onion and thyme. 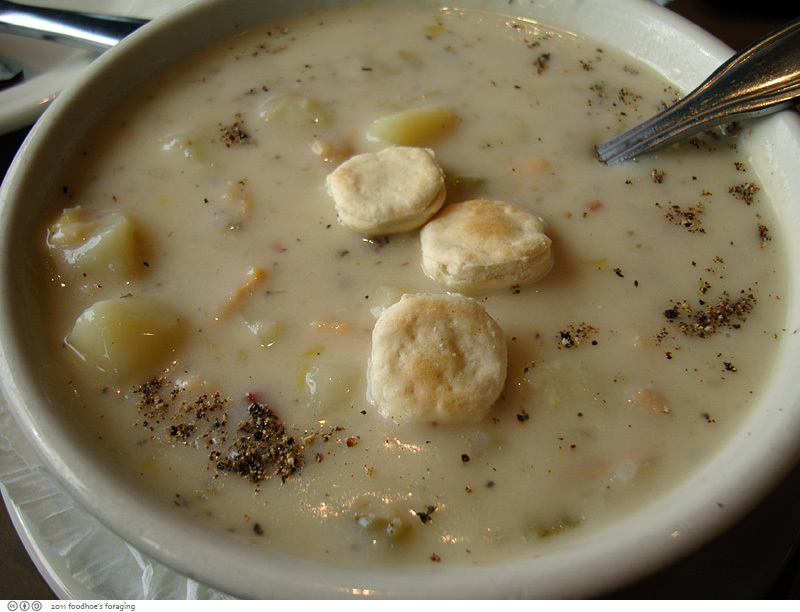 According to the menu, they don’t thicken their chowder with tons of flour, just the natural ingredients in a creamy, savory broth. 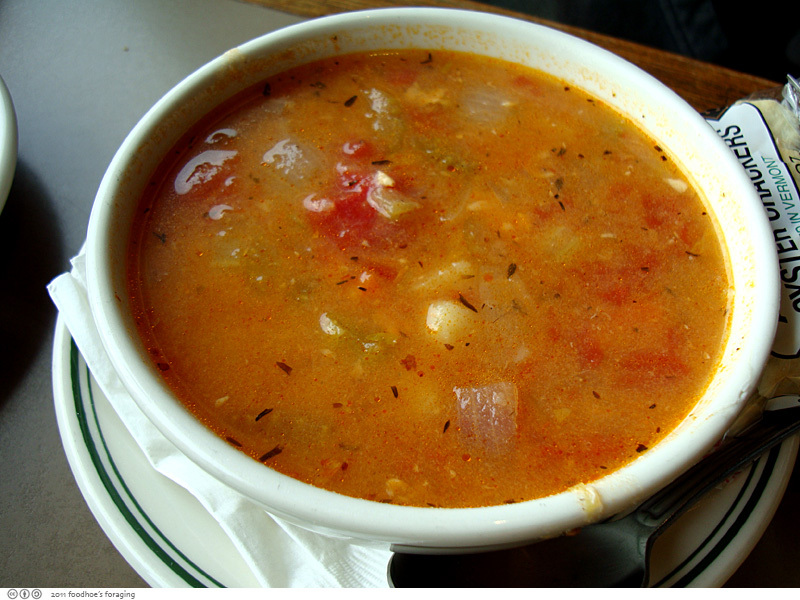 And Mr. K enjoyed a cup of the Manhattan Clam Chowder ($6.95), which is tomato-based and full of the savory flavor of little neck clams, vegetables, and herbs. You don’t see Manhattan style chowder very often, but this is so good I wonder why this is so. We split one of the Lobster Rolls ($19.95), which comes with a bowl of coleslaw and chips. Delicious. The buns are the New England top-loaders which have had the sides removed to flatten them out and are then buttered and grilled to a lightly crisped exterior. The sandwich is literally overflowing with large chunks of lobster meat, including the buttery claws, spindly legs and all. The buttery toasted buns meld perfectly with succulent chunks of meat that have been generously dosed with butter. It’s outrageously decadent and really finger licking good. On the second visit, we met Mank, and we decided to stray from the standard side of plain chips and upgraded to the Old Bay Fries, (for an additional $2) which were dusted with Old Bay spice mixture that we liked very much. 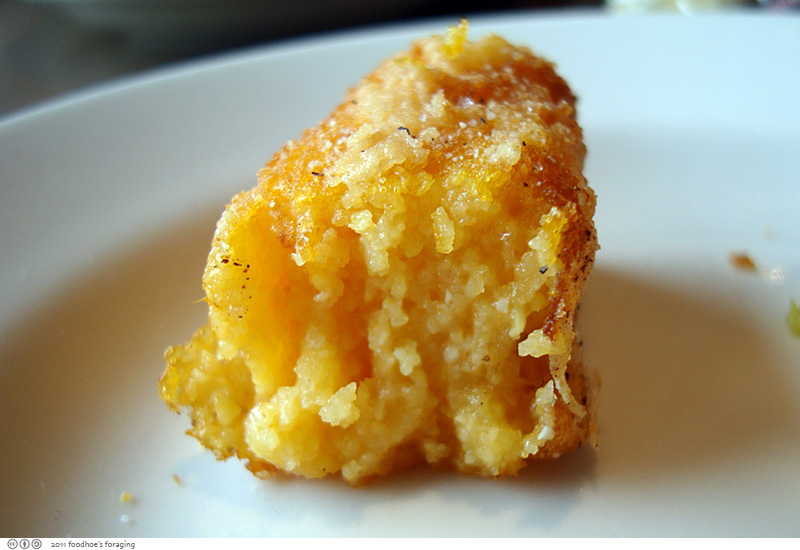 It was creamy and delicious with a delicately crispy shell, but too big and hefty to be considered a side dish. My advice, go with the Old Bay Fries or potato chips. On our second visit, it was cold and cloudy so we sat inside. 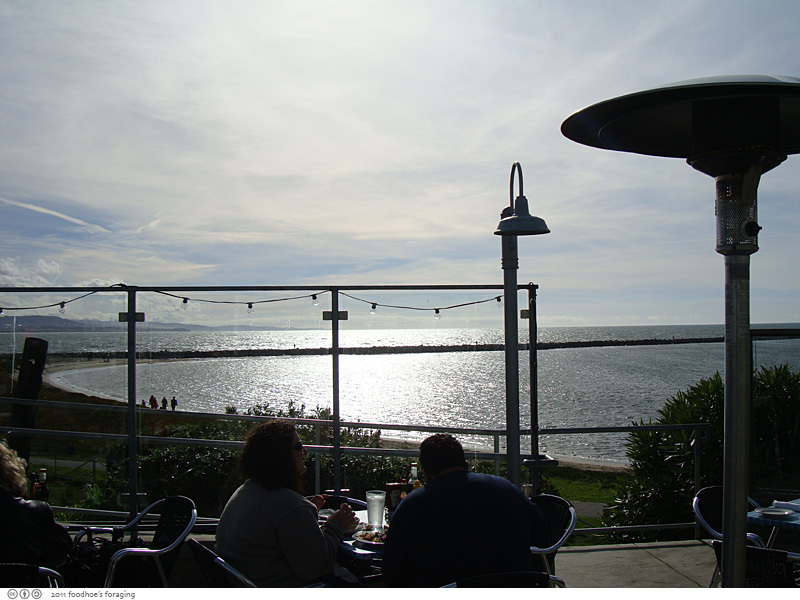 We enjoyed the same mesmerizing view; and even better… the soup didn’t get cold right away, so we were able to nosh our meal at a more leisurely pace. 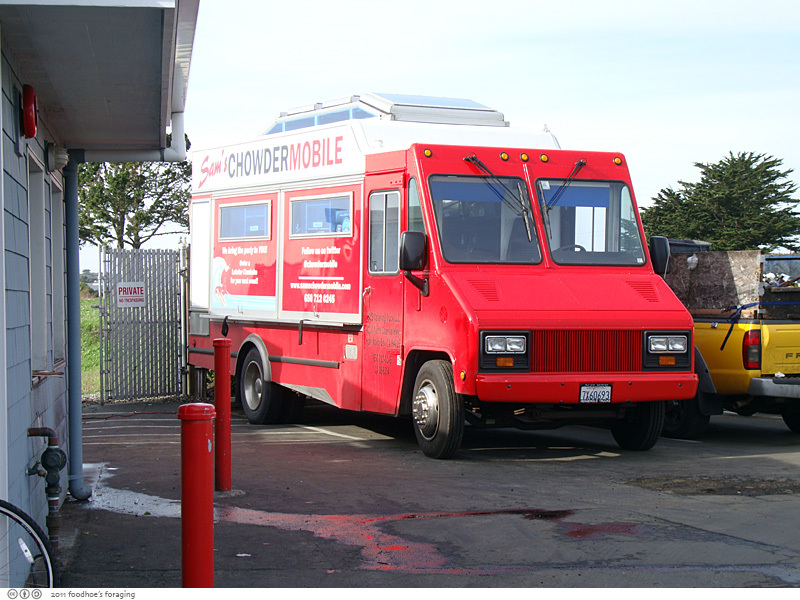 On the way out, I saw Sam’s Chowdermobile parked in the lot, which brings the lobster rolls and chowder out on the road, you can get up to the minute location updates on twitter. I hope to run into them when they setup shop in Golden Gate Park one of these days! 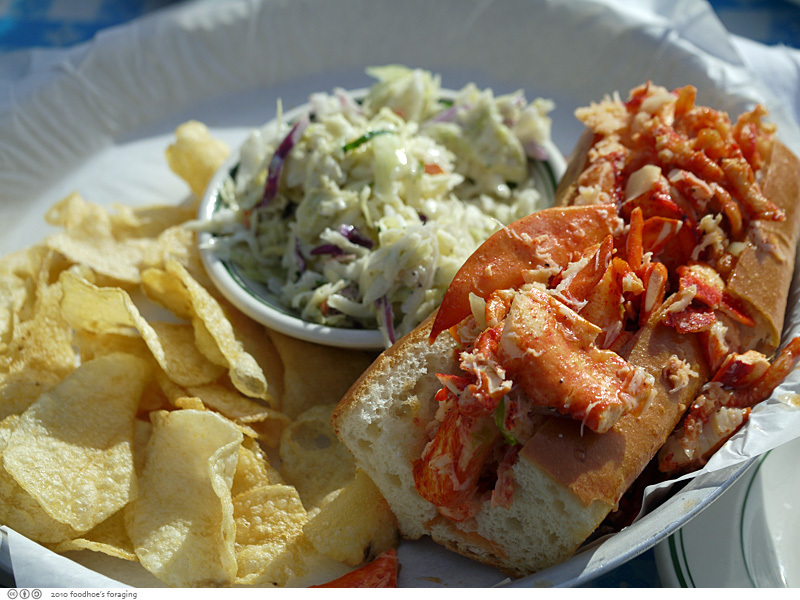 Wow, that lobster rolls is irresistible and so cheap (at least for us Europeans)! scrummy food and gorgeous view. This place sounds absolutely delicious! I love lobster rolls with all of my heart. I’m going to try and chase the truck down when I’m in The Bay next. Lobsta, baby! Love everything there! Especially the view! I just about fell over when I saw the lobster roll! Wow! rosa, they are so irresistible I want to go back already! bonibella, it was your post that inspired me to seek this place out! 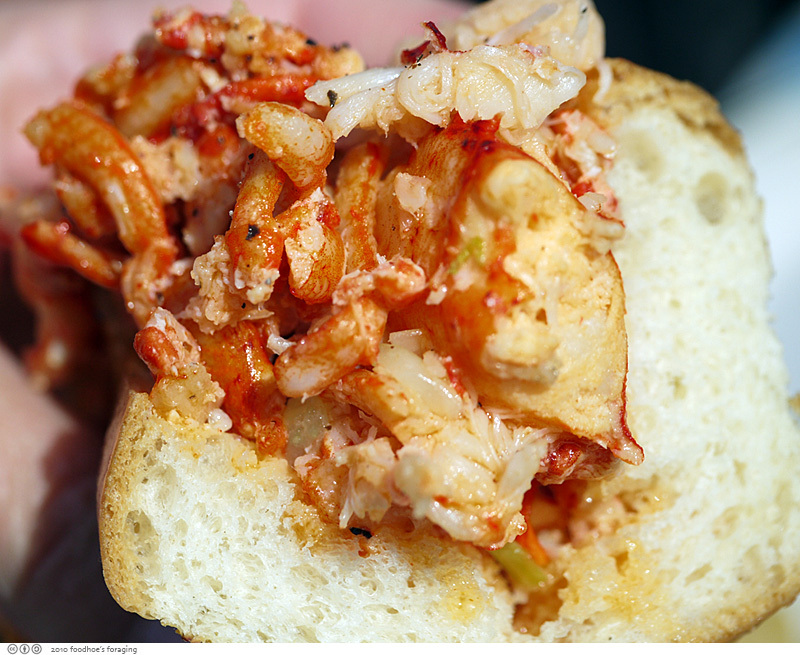 I tried a mini version of the lobster roll from the truck at Eat Real two years ago. I don’t remember much about it, but maybe it’s better as a larger roll and with that view! 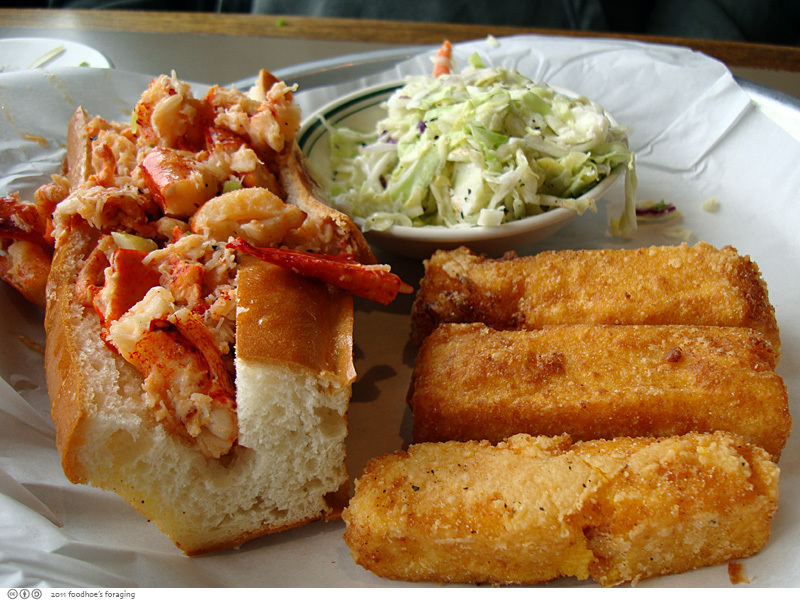 lobstah, chowdah, and some FIERCE fries–looks like a winner to me! Went here a few weeks ago for the first time and fell in love. That lobster roll is out of this world.